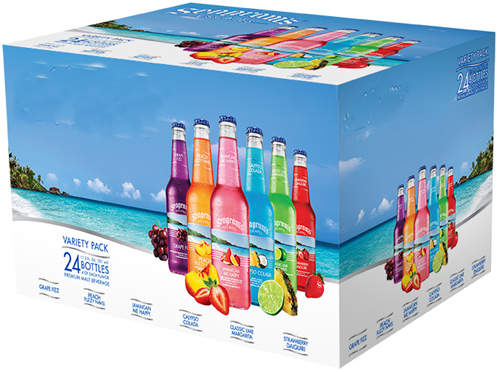 A Variety pack is an assortment of various goods from a manufacturer all packed into one pack. Variety packs are normally a marketing strategy targeting various consumers for we know how much we as human beings love choices. Variety packs normally offer consumers a lot of choices and are often times a good buy for consumers. Variety packages normally allow clients to sample your various products for a cheap price. Clients can then sample your various product and decide which suits them best. Variety packages also offer your clients a lot of assortment for a cheap price hence giving them value for their money. Variety packages have been known to boost sales, for various clients have various individual tastes and a variety pack can address to their various individual tastes. Variety packs may also be quite beneficial to families for they may be tailored to suit the various family members. One needs to consider the market their targeting and carry out basic research on their designated target market preferences this ensures the variety pack is customized to suit their tastes. This ensure the variety pack is well received. One also needs to consider the products they need to place in the variety package. It’s normally better to use products that are popular and blend them in with older or newer products in order to achieve a wide variety of assortment. One also needs to take the packaging and design of the variety pack really seriously. This is because image is normally very important. Consumers are also a very observant bunch. The packaging and design should be simple and communicate the message your business is trying to put across. One should also adopt a god marketing campaign to enable the public to know about your variety package product. The campaign should also target the intended designated age group you have selected out. One can use user friendly systems for packaging. This make it simple for the client to access the product after purchasing it. Using the best materials that offer the best protection for your products can ensure that your products are not easily damaged. One can also deploy use of eco-friendly materials in the packaging process. This ensures that the packaging is recyclable. This enables the client to reuse it if they want to. One should also go for simplicity when it comes to packaging, instead of opting for complex packaging solutions.